As the last few grains of sand left in the upended hourglass that is 2018 fall through, now’s the time to look ahead to the pop-cultural bounty promised by 2019. Not to be overlooked among our modern age’s many streaming services is Redbox, known best for its eponymous movie vending machines, but also boasting a digital platform of its own. Here’s our snapshot of the service’s incoming titles, both in kiosks and on demand—you’ll find the complete list down below. One of Redbox’s first and foremost January additions comes to us, like so many worthwhile films do nowadays, from the indie film wizards at A24: mid90s, the debut feature from actor-turned-writer-director Jonah Hill. The drama “follows Stevie, a 13-year-old in ‘90s-era L.A. who spends his summer navigating between his troubled home life and a group of new friends he meets at a Motor Avenue skate shop,” per A24’s synopsis, starring Sunny Suljic as Stevie, Lucas Hedges as his older brother Ian and Katherine Waterston as his mother, Dabney. 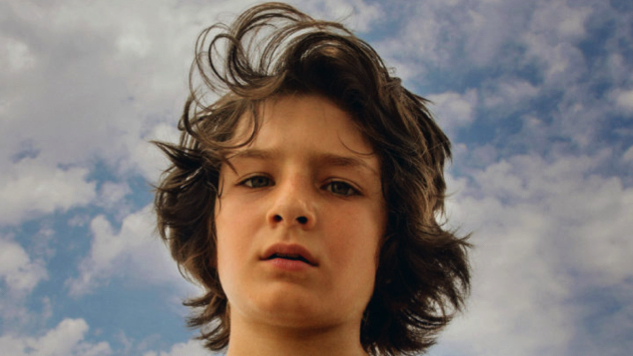 Paste gave the film a mixed review, noting that “where Hill’s characters fill every frame with warmth and empathy, the world they inhabit is as contrived as a memory one trusts too much,” but those who share Hill’s nostalgia will likely find mid90s worth watching when it hits kiosks on Jan. 8, 2019. Coming to Redbox a week later is Halloween (2018), the David Gordon Green-directed sequel to the 1978 horror classic of the same name. Scripted by Gordon Green, Jeff Fradley and Danny McBride, the film features Jamie Lee Curtis reprising the iconic role of Laurie Strode, taking on the seemingly superhuman masked slasher Michael Myers on the film’s eponymous holiday. Halloween, too, Paste had a mixed opinion on, with our review deeming it “an intensely frustrating experience, buoyed by solid action and well-crafted scares, but simultaneously damned by an incredibly clunky script and appalling lack of focus.” But if that doesn’t scare you off, you can celebrate Halloween at your own risk starting on Jan. 15 via Redbox kiosks and VOD. Moving past January’s halfway point, we encounter what may be Redbox’s best January film addition: Whiplash and La La Land director Damien Chazelle’s First Man, starring Ryan Gosling as lunar-landing pioneer Neil Armstrong. Adapted from James R. Hansen’s book of the same name by Oscar winner Josh Singer, the film “explores the triumphs and the cost—on Armstrong, his family, his colleagues and the nation itself—of one of the most dangerous missions in history,” per Universal’s official synopsis, and also stars Claire Foy, Jason Clarke, Kyle Chandler, Corey Stoll, Ciaran Hinds, Christopher Abbott, Patrick Fugit and Lukas Haas. Paste praised First Man to the skies in our review, writing that it “celebrates humanity by focusing intensely on it, in all its glories and failings,” so don’t miss this acclaimed space-race drama when it hits Redbox kiosks on Jan. 22. We’ll highlight one last film for you before giving way to the full list, one that promises the opposite of its title: Drew Goddard’s Bad Times at the El Royale, coming to VOD on Jan. 1. The star-studded neo-noir thriller—featuring Jeff Bridges, Cynthia Erivo, Dakota Johnson, Jon Hamm, Cailee Spaeny, Lewis Pullman, Nick Offerman and Chris Hemsworth—is the story of “seven strangers, each with a secret to bury, [who] meet at Lake Tahoe’s El Royale, a rundown hotel with a dark past. Over the course of one fateful night, everyone will have a last shot at redemption … before everything goes to hell,” 20th Century Fox’s synopsis teases. The acclaimed film is only Goddard’s second—following his mindfuck of a 2012 feature debut, the ingenious horror-comedy The Cabin in the Woods—but it cements him as a filmmaking force to be reckoned with. Find Redbox’s complete January slate below.